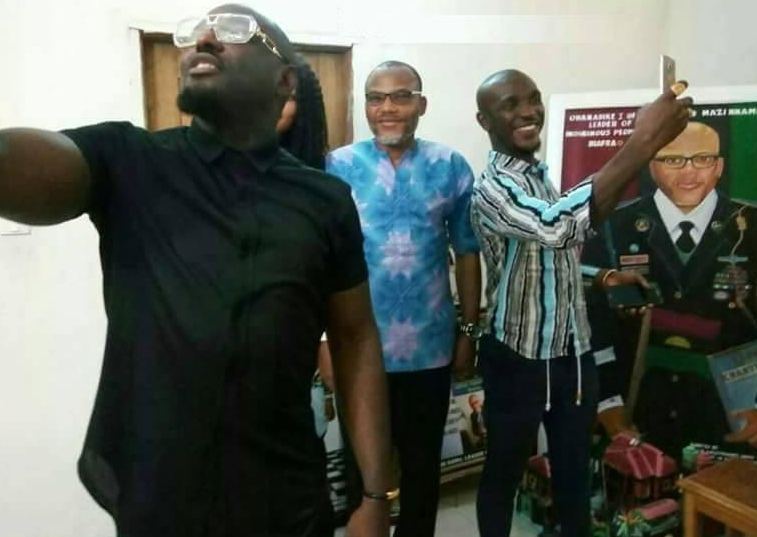 IPOB Boss Mazi Nnamdi Kanu who recently regained his freedom can’t travel out of Nigeria. He is now confined to his house in Umuahia area of Abia State. 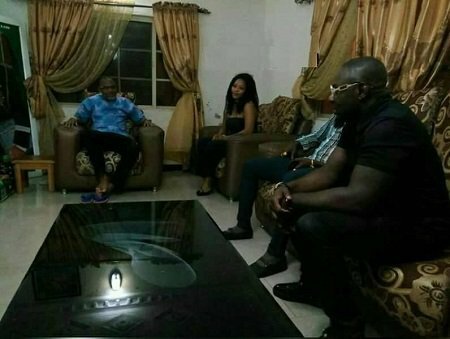 Nollywood actor Jim Iyke was full of excitement as he was spotted at the mansion located in Afara Community in Ibeku Land, Umuahia. 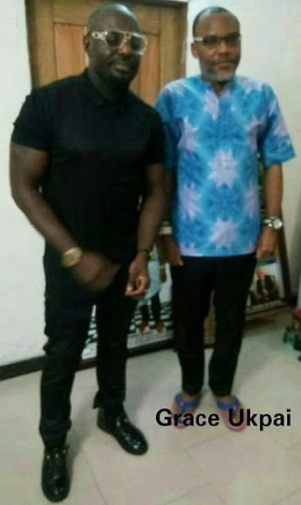 JIM IYKE..FAYOSE of nollywood..u always like to represent ..visiting mandela of our time..nothing do you. He is the great leader of our time who will soon lead us to the promise land. The land of the rising son.Biafra.